How to choose a suitable Chinese book? If you have made a decision to learn Chinese systematically, a textbook is necessary for you. You can preview and review the lessons very easily if you have the book. Also it will be easier for you to take notes when you have the book. As we know, a Chinese book is easy to find. Yet, you may ask “How to choose a suitable Chinese book for me?”. I would like to share some tips for choosing Chinese books. If you are a beginner and you don’t know even a word or you can only say hello 你好(nǐ hǎo), you will need a book with a phonetic system and simple topics. You will be focused on the finals, initials and tones. Generally, after one month of learning you can read every single word, but don’t be in a hurry to learn all the words or grammar points. You should have a strong basis for the fundamentals before you move on to more advance subjects. 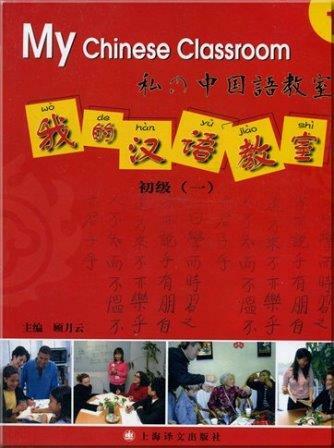 I mainly recommend My Chinese Classroom, volume one to my students. In this book, there are ten simple topics like greetings, asking time, and asking suggestions, which are all closely related to our daily life. However, the most important point is that there are detailed introductions for pinyin, tones, rules of tone changes, rules of spelling, table of initials and finals. There is pinyin for each single word, which is very convenient for you to pronounce. If you do not want to learn Chinese characters, the pinyin above words will be very helpful for you. At the end of each lesson, there are exercises for you to practice your pronunciation and tones. You will grasp many new words or possibly over 200 words. You also will be able to make sentences with “Subject+Verb+Object” structure very well or with other simple sentences structures. In addition, you will be able to focus on enlarging your vocabularies with simple structures by words substitution. So My Chinese Classroom, volume two is a good book for you to follow. There are no complicated sentences structures but daily used conversations phrases and words. We need to be very careful to choose a book for teenagers. If you choose a book with many pictures or have very simple topics, they will think it is too simple. Most of my teenage students favor Chinese Made Easy and Learn Chinese With Me. Lastly for kids, we should choose a book with many colorful pictures and small games to arouse kids’ interest. For example, here are four cute kids to show the four tone marks. In the class, kids will move their body like this while learning the tones in a fun and interactive way. Simple and interesting topics are very important when teaching kids. I would say Chinese Made Easy, for kids is a good choice for teaching children. In this book, kids will learn about numbers, greetings, family members, colors, animals, clothes, fruits and so on. If you are an intermediate learner, you have higher vocabulary knowledge and you can use more simple sentence structures. But some students have such grammatical problems. For example, some students may say “她是很漂亮(tā shì hěn piào liɑnɡ)” for the phrase “she is very beautiful”. However, we should say “她很漂亮(tā hěn piào liɑnɡ)”. Yes, both have the same meaning but are grammatically different, a general problem for intermediate learners. Thus, we really need a book with detailed grammar points to get a better understanding. 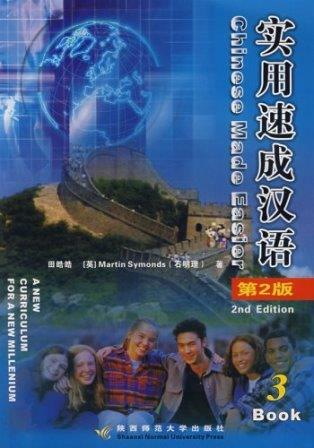 I recommend Chinese Made Easier, volume three for my students. In this book, there are almost 30 new words in each lesson. Also in each lesson the sentence structures are clearly listed with more than five examples. The way the book teaches the sentence structures allows for ease in practice and creating your own sentences. For example, in lessons 27, this grammar point of the occurrence of recent events S+V+过(ɡuò)+O+了(le) is taught. After this structure is listed, there are six example sentences listed in a table to practice the sentence frame. If you did not learn Chinese characters, this book would be a little hard to read, as there is less pinyin. You could use two books: My Chinese Classroom and Chinese Made Easier to help you learn more. You should choose more than one book based on your learning weaknesses and learning objectives. “I got a little bit frustrated that I can always make correct sentences, and native Chinese people can understand me well. But I can’t understand some expressions they are talking about. In this case, learning Chinese idioms will be very necessary. Chinese idioms are a big part of the Chinese language and are hard to understand at times. You can learn these idioms with this book, A Course in Chinese Colloquial Idioms. 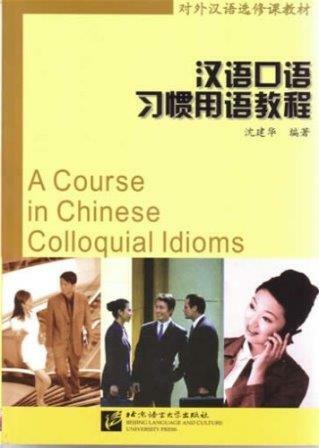 This book will provide you the common idioms that Chinese people know and use daily. Whether you are a beginner or advance learner, we hope that these tips and advice have helped you understand what to look for in a textbook. Good luck in your learning!